Costing systems helps the management to record expenses occurred in course of business . Expenses like material, labor and other costs in such a manner that we can use the information derived from these system in order to explore further cost behavior in different scenarios. 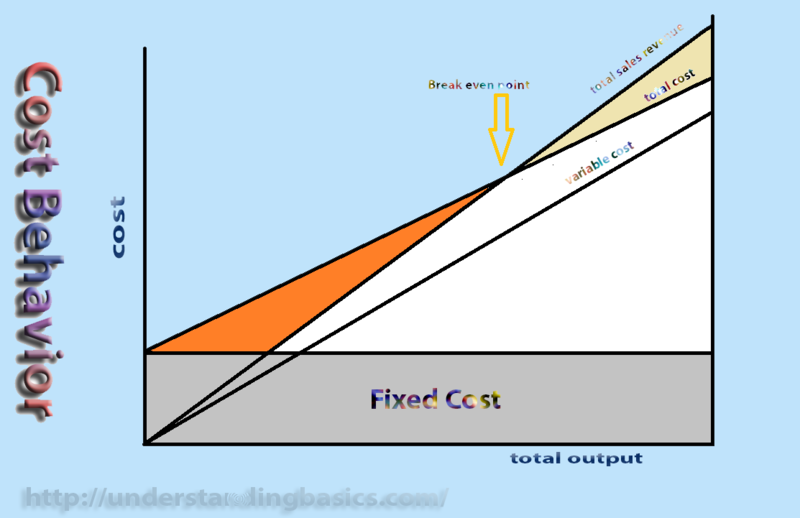 There are two main cost behaviors that are variable costs and fixed costs. Variable costs can be defined as those cost which change with the level of activity performed by business . Or we can say that variable cost are those cost which are directly proportionate with the number of units produced or level of activity performed. Whereas, fixed costs are those cost which remain fixed throughout the year. Or in a specific given time and it has nothing to do with the volume of production or activity level. It is widely accepted that separation of these two costs provide management a very fruitful insight in to the operations of the company. It lead to many timely and accurate decision in controlling cost or taking advantages of available opportunities . These cost behavior become interesting, when combined with the volume or productivity level. The variable cost per unit remain the same no matter how many units are produced however fixed cost per unit decrease with each increase in the volume or activity level. Or we can say it has an inverse relationship with increase in productivity. For example, direct material and direct labor are two very good examples to understand variable cost. We can easily understand that in order to increase in production, we will need to increase material and labor as well. 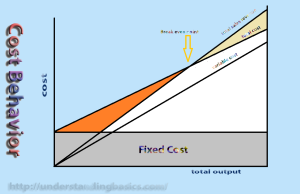 Whereas factory or building rent are easily understandable example of fixed cost. Because either company produce zero unit or one hundred thousand units the factory or building rental will be the same. The mixture of these two costs leads to mixed cost or semi variable costs. Which is also a very interesting concept as sometimes an expense can behave in both ways. For example telephone expense may have a fixed cost in the form of line rent. A variable cost factor in the form of number of calls made. Understanding all these cost behavior gives the management better understanding of company’s potential. It can become a useful tool in controlling existing costs as well.